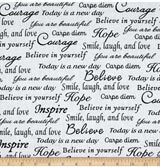 The perfect quilt for the Confident Beginner! 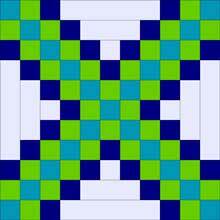 The Triple Irish Chain quilt is based on a four fabric, 7x7 grid. 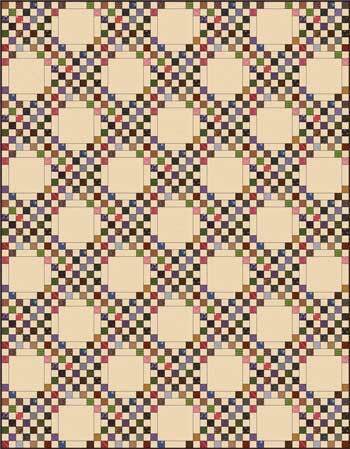 Strips subcut into squares and rectangles are all that are needed to create these stunning, yet easy, traditional patchwork designs. A bold 'X' runs through this block from corner to corner. 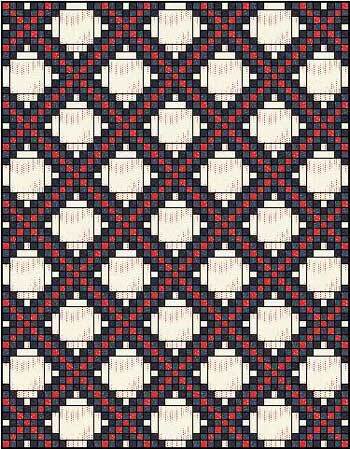 And just like the Double Irish Chain quilt pattern an alternate block is needed to complete the triple chain design. 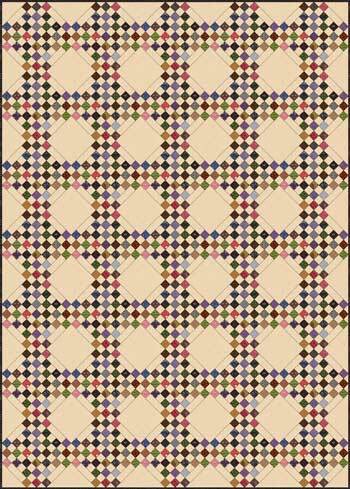 The alternate blocks are quite simple, making this relatively quick to piece given the visual complexity of the finished patchwork. 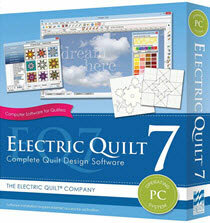 All the Irish Chain quilt patterns shown are drawn in Electric Quilt 7 (EQ 7), a quilt design software. I love this design software! It's easy to learn and makes auditioning color placement a breeze. 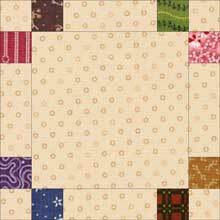 These patchwork designs are shown without borders to help you identify the block layout. No sashing strips or cornerstones are necessary. 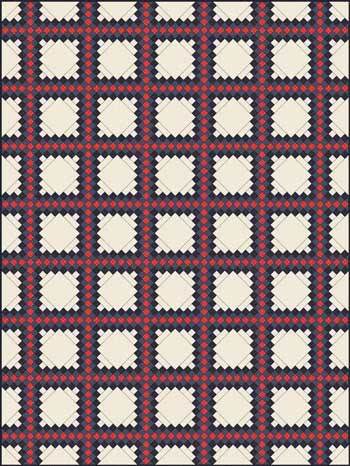 The blocks are stitched edge to edge to form this quilt pattern. 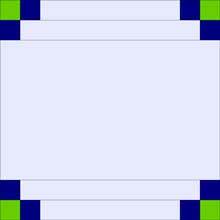 Layout the blocks in straight rows and columns. And now we organize the blocks in diagonal rows. 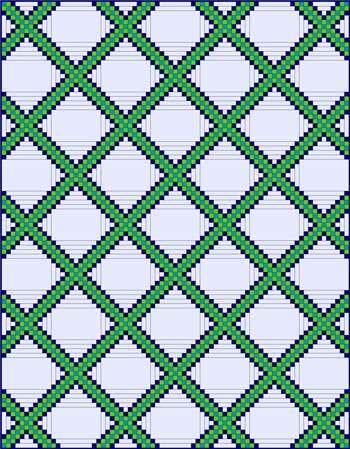 The triple chains form in horizontal and vertical lines. 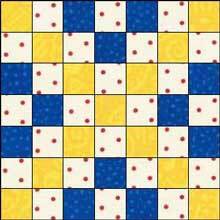 There is less room to showcase your machine stitching or applique. The background fabric is now used in the 'chains'. Make sure there is enough contrast between the lightest 'chain' fabric and the background so that the design is prominent. Or in a diagonal setting. 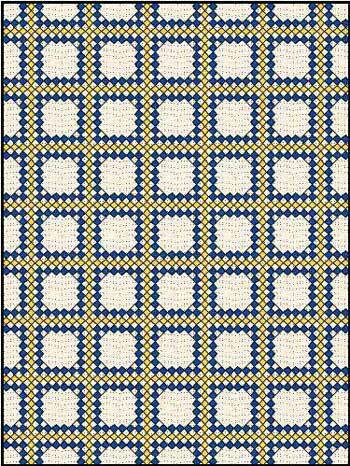 This quilt pattern is a terrific way to use up scraps. 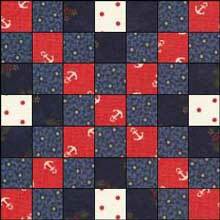 Allow extra time for its construction if you are using a variety of different size fabric scraps. Using the same block, but with a slightly different color placement. 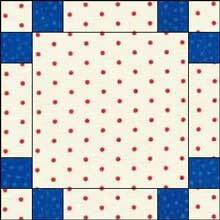 The strong 'X' is back and the background fabric is again used for one of the 'chain' fabrics. The blocks are set in straight rows. The blocks are set is diagonal rows. 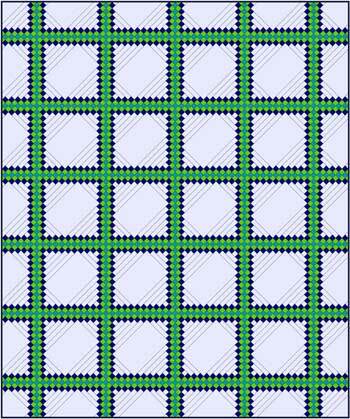 Just like we saw with the Double Irish Chain, the size of the open space can be increased simply by increasing the number of units in the grid, in this case, from a traditional 7x7 grid to an 11x11 grid. 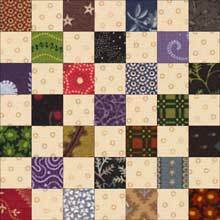 See how much more open these quilts look as compared to the first two on this page. And now in a diagonal layout. 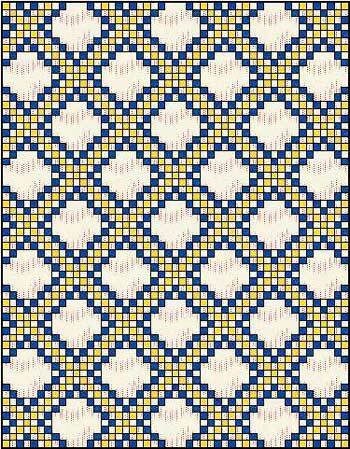 As you design your own Triple Irish Chain quilt, remember that straight, horizontal settings need odd numbers of rows and columns to create a symmetrical design. 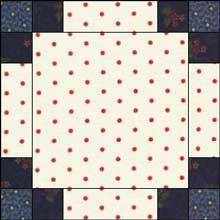 On-point layouts are symmetrical regardless of the number of blocks.